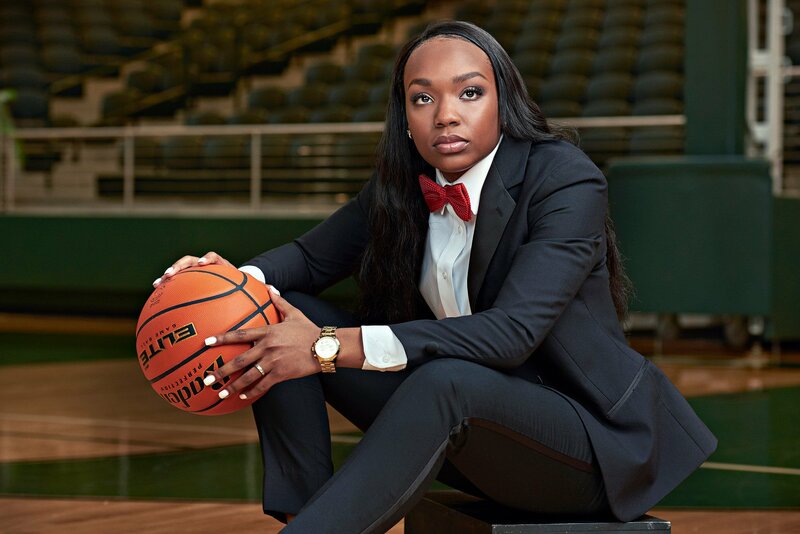 Jordyn is the starting guard for the Prosper Girls Senior Lady Eagles team. 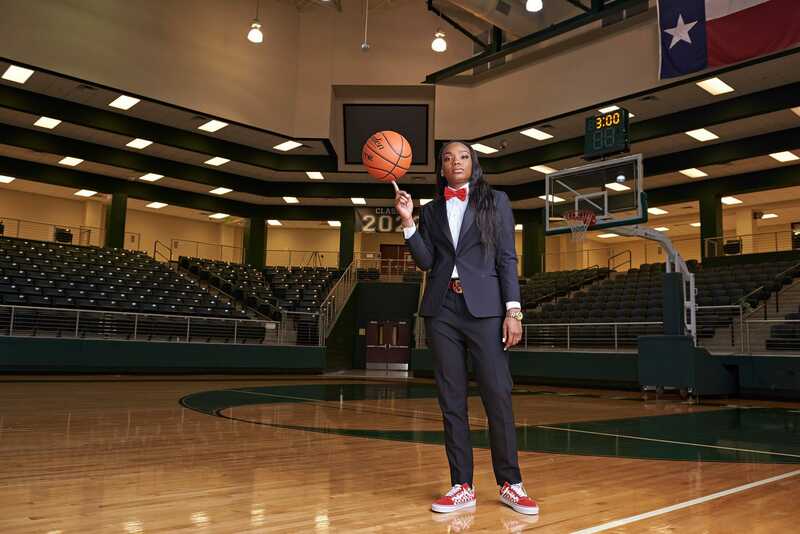 Jordyn is wearing a stylish tuxedo from Prosper Homecoming with red heels and bow tie to match. It’s been a hot minute since we did a blog post, but we have so much more to show you! Today we are focusing on the Prosper Girls Senior Portraits of Jordyn Oliver. 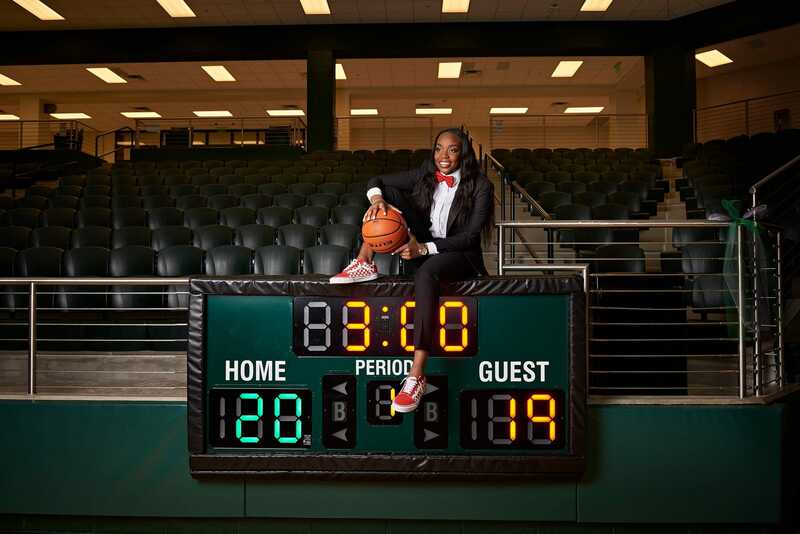 It was our second female in our Fashion Sports Portraits and it was awesome! We will show you the first half of her two-part photo shoot. 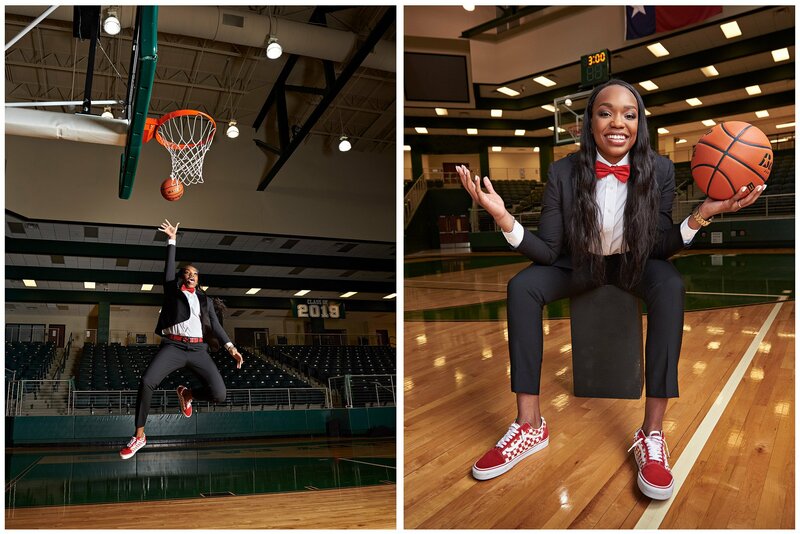 This was my first time getting to photograph in the Arena at Prosper High School. You have seen us post multiple photo shoots inside of the impressive Football stadiums of the area, and this indoor basketball court did not disappoint either. 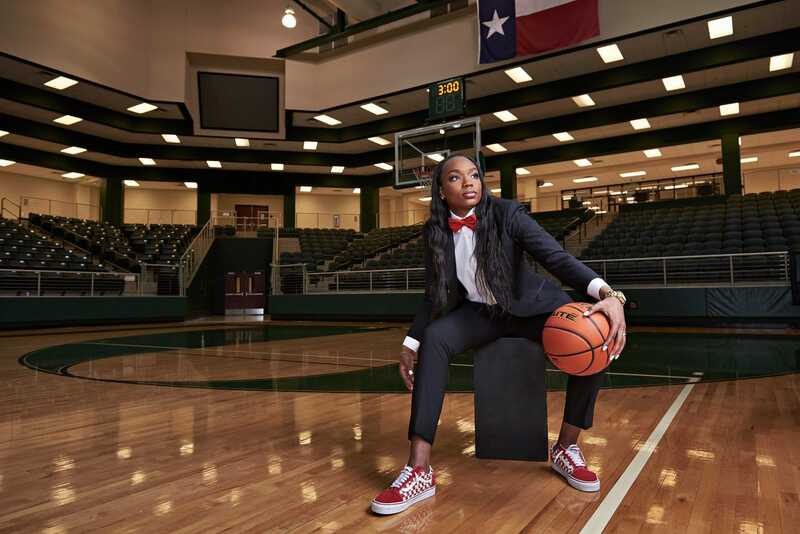 Featuring six different views from various jumbotrons, wrap around arena-like seating, and of course the Texas flag as you see below, it makes for a beautiful backdrop for these photos with Jordyn. Jordyn and her parents were an absolute pleasure to work with. We talked several times before the photoshoot to plan our ideas and her mom was also a great help at the shoots themselves. What a great family. 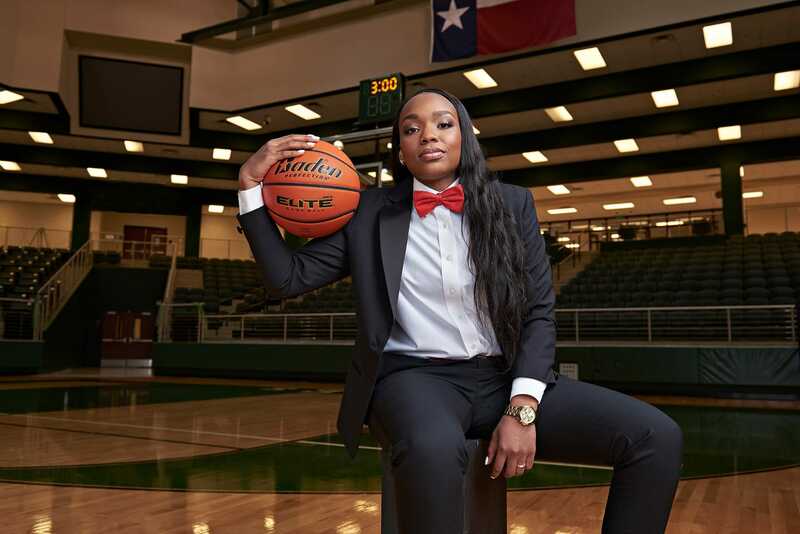 Jordyn is the starting guard for the Lady Eagles at Prosper. 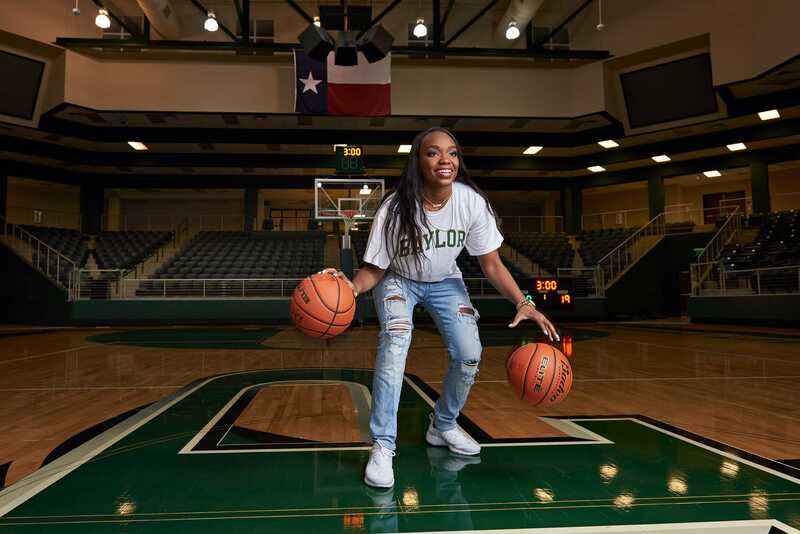 She’s been recruited by Baylor University, where she is now a full commit and she even got to play for the USA Women’s World Cup Team. How amazing is that! 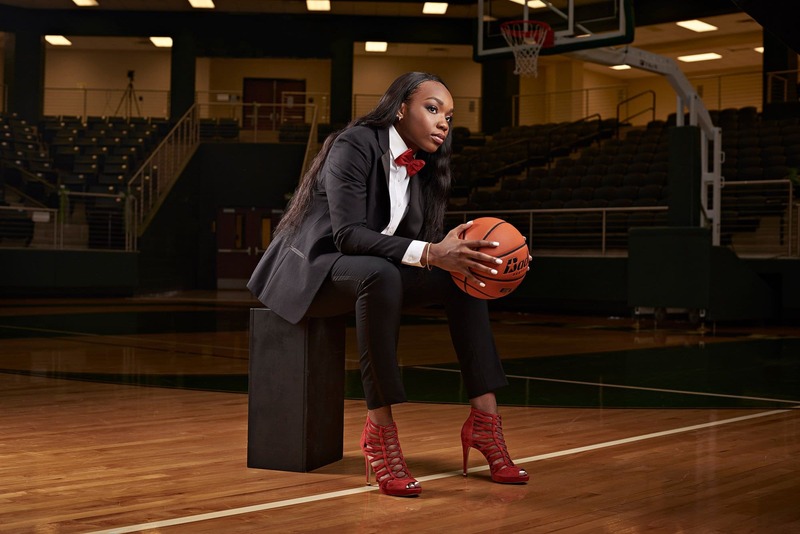 In 2016 and 2017 she was named to the Texas Association of Basketball Coaches 5! All-State team and 5A All-Region second team. There are many more accomplishments that could be listed, but we will sum it up by saying… She is talented and ready to go for this 2018 season! 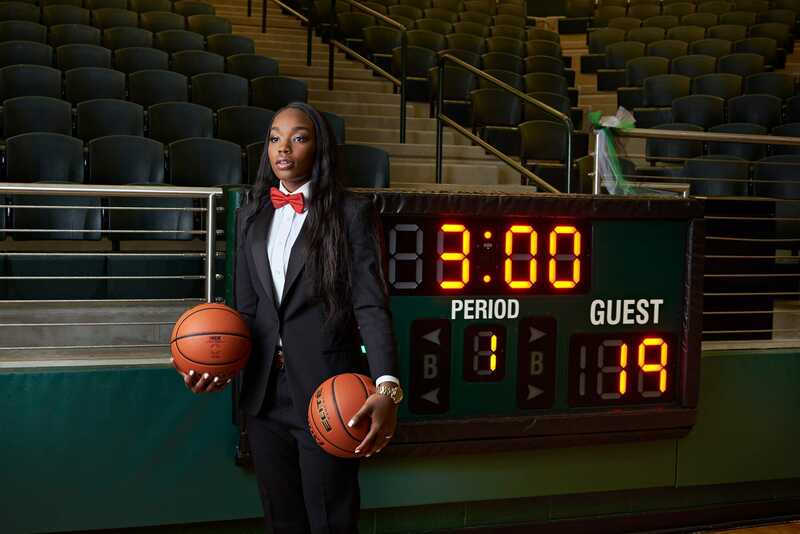 Jordyn wanted to feature a few things on the scoreboard for this photo above for her Prosper Senior Portraits. Obviously, we got the 2019 year, but also added the 3 minutes to represent her jersey number. 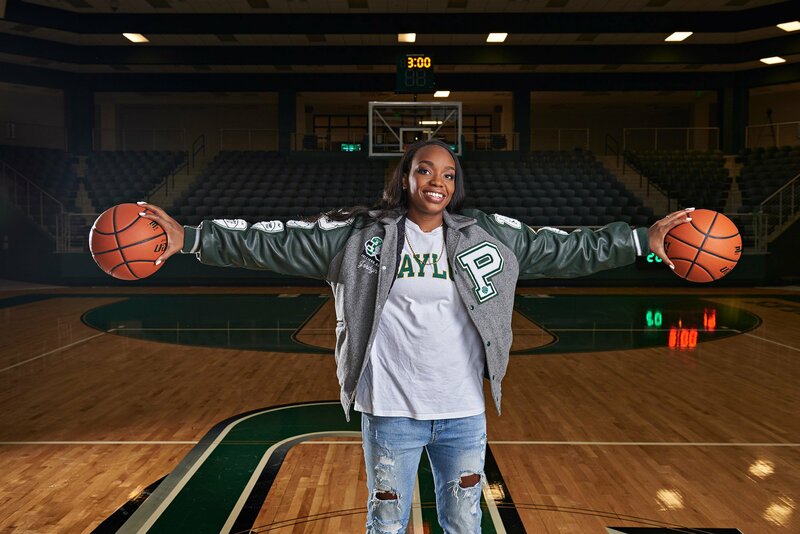 She will be headed to Baylor when she graduates this year to play basketball for the Lady Bears, keeping her talents in the great state of Texas. This is only part one of her two-part senior portraits. The other part was outdoors at a relatives private basketball court. We have a few surprises to show you later from that shoot, so make sure you keep coming back to see more. Below are a few more photos from Jordyn’s Prosper Girls Senior Portraits. 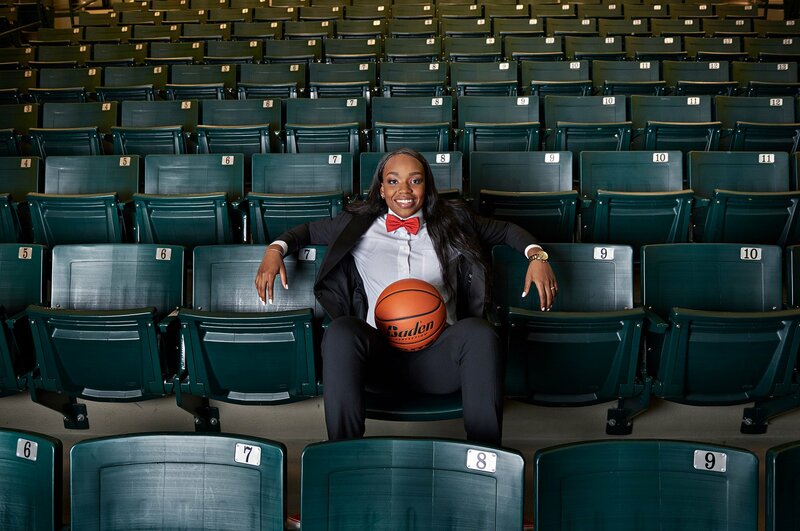 Are you ready to book your session and have the Ultimate senior experience or be featured as a local athlete? Definitely give us a call or fill out our contact form HERE. Jeff Dietz is the #1 Prosper Girls Senior Portrait photographer for both athletics and individuals. We also serve Southlake Carroll, Frisco, Celina, Highland Park, Rockwall, and McKinney where we are based.